Be prepared from head to toe with the Propper Series 100 Waterproof tactical boot. 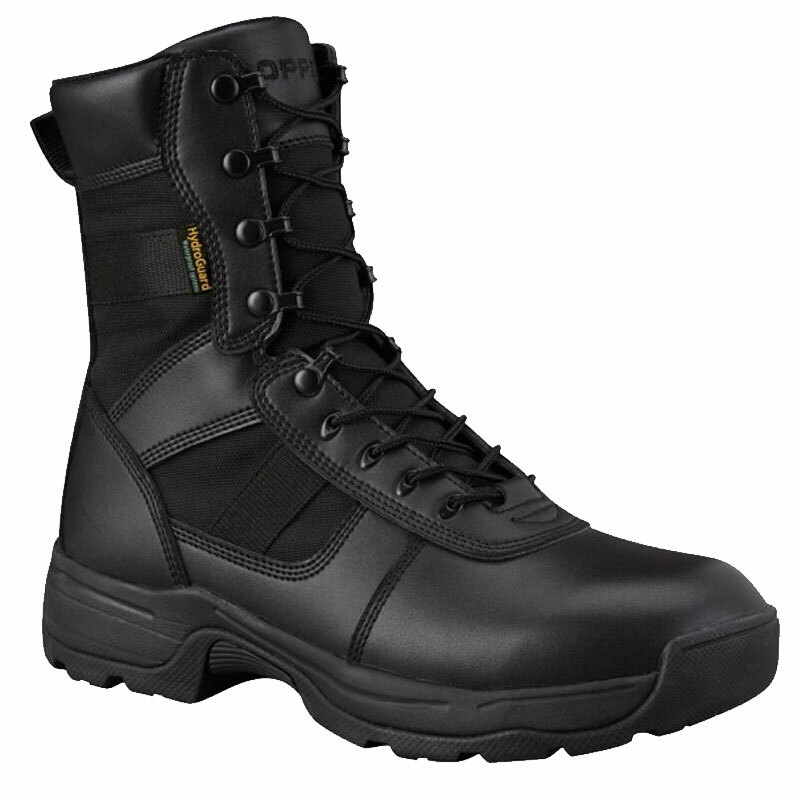 This uniform-ready boot has an upper made of polishable full grain leather with 100D nylon inserts. A side zipper allows you to slip them on quickly and an oil and slip resistant rubber outsole provides excellent traction so you can confidently tackle whatever the day has in store. What started in 1967 as a single contract to make the iconic white Dixie Cup hats for the Navy turned into five decades of dedication and hard work as Propper grew to become the largest single provider of US military apparel in the country. Along the way, they branched out to serve the needs of the law enforcement and public safety communities, as well. This year, they proudly celebrate 50 years of providing outstanding military, law enforcement and tactical apparel and gear to folks like you who understand what it takes to get the job done right.